An all-star concert event celebrating the music and message of the legendary music icon. The one-night-only concert event taping will be held at the Theater at Madison Square Garden on Saturday, December 5th at 7:30 pm ET and air exclusively on AMC on Saturday, December 19th at 9:00 pm ET/PT. This once-in-a-lifetime concert, produced by Blackbird Presents, will bring together fans, friends, and music royalty to honor Lennon’s musical legacy. The event will feature performances by Aloe Blacc, Eric Church, Sheryl Crow, Brandon Flowers (The Killers), Peter Frampton, JUANES, Kris Kristofferson, Pat Monahan (Train), Tom Morello (Rage Against the Machine), Willie Nelson, The Roots, Chris Stapleton, and Steven Tyler. With additional performers to be added. Keith Wortman of Blackbird Presents is the creator and executive producer of the show. Overseeing the project from AMC are Eliot Goldberg, senior vice president of non-fiction and alternative programming for AMC and SundanceTV, and Marco Bresaz, vice president of non-fiction and alternative programming for AMC and SundanceTV. 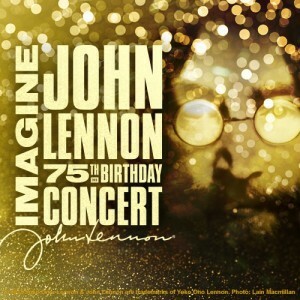 Imagine: John Lennon 75th Birthday Concert will be filmed and recorded for multi-platform distribution throughout traditional and digital media (worldwide music, digital, and broadcast). Talent Executive: David Paley, Transportation Logistics Specialist: Billy Amato for Bermuda Limousine International.